The ST1 8x8 wheeled tank destroyer is among the home-built armored vehicles China sells to Africa. When defense officials from China and the African nations on Tuesday wrap up a high-level security forum, both sides are expected to vow to enhance defense relations, boosting a bond between the two parties that already includes surging Chinese arms sales to Africa. China's participation in peace keeping missions and its setting up of a military base in Djibouti, on the Horn of Africa, have strengthened defense ties built on top of the increasingly strong economic relationship China has been developing with Africa since the turn of the millennium. Some one million Chinese citizens today live in Africa while 200,000 Africans work in China. From 2013 to 2017, China's arms exports to Africa surged 55 per cent from the previous five-year period of 2008 to 2012, according to Stockholm International Peace Research Institute. While Africa's overall arms imports decreased 22 per cent over the same period, China's share of total African arms imports rose 8.6 per cent to 17 per cent. Meanwhile, Russian arms exports to Africa fell by 32 per cent, accounting for 39 per cent of total imports to the region. The US accounted for 11 per cent of arms exports to Africa. As defense relations between the parties strengthen, here is a look at the weapons China sells to Africa. The Red Arrow is an advanced anti-tank missile system deployed by the People's Liberation Army. China exported 24 battle tanks to Tanzania and 30 to Chad in 2013, according to the latest available data from the United Nation Register of Conventional Arms (UNROCA). China exports a few home-designed model battle tanks overseas. Its main model, the VT4 battle tank, is a third-generation vehicle built by for overseas export by state-owned arms maker China North Industries Group, officially abbreviated as Norinco. The VT4 has a 125 millimetre smoothbore cannon capable of firing guided missiles. A remote weapon station on the turret is armed with a 12.7mm heavy machine gun. Last year, Norinco expanded its line of tanks for the overseas market by developing the GL-5 armoured vehicle. The GL-5 system includes four radar systems and fixed projectile launchers attached to a tank turret for 360-degree coverage. Armoured combat vehicles also are one of China's top weapons exports to African countries, with Ghana and Namibia importing 76 and 21, respectively, in 2009 and Kenya importing 32 in 2007. Rwanda, Burundi, Mozambique, Chad and Gabon also have bought armoured combat vehicles from China. The ST1 8x8 wheeled tank destroyer is another of China's armoured vehicles for export. It boasts one Nato standard 105mm rifled gun that fires a full range of ammunition. The JF-17 Thunder is China's major jet in its export market. Combat aircraft and drones also are among China's major arms export items. Nigeria, Tanzania, Zambia, Bolivia, Namibia, Zimbabwe and Ghana all have been buyers of China-built combat aircraft, drone combat aircraft or drones, according to the latest UNROCA data. JF-17 Thunder is China's major jet in its export market. 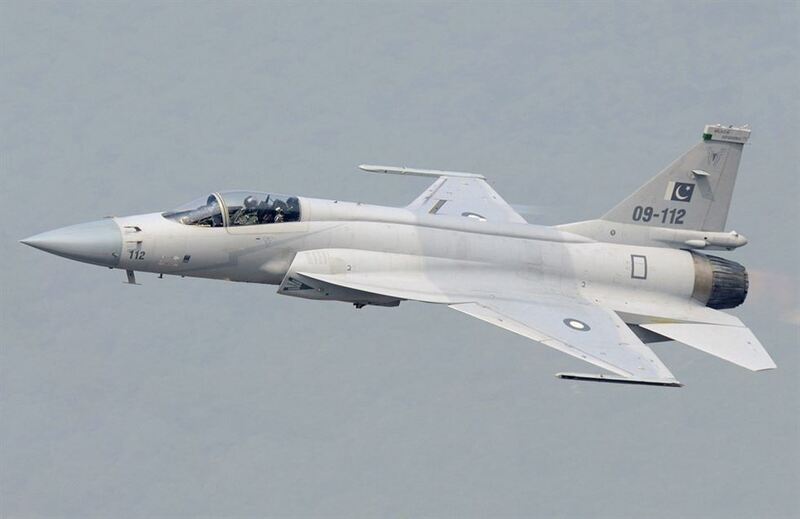 The single-engined jet was developed jointly by the Pakistan Aeronautical Complex and the Chengdu Aircraft Corporation of China. It can deploy air-to-air and air-to-surface missiles, powered either by a Guizhou WS-13 or Klimov RD-93 afterburning turbofan, with a top speed of Mach 1.6. Meanwhile, China has banned the export of its J-20 stealth fighter to the global market. It is unclear how many unmanned combat aerial vehicles China actually has exported overseas, but what is certain is it wants to export more drones to dominate the market. As a result of US drone export policy requiring all drone exports to go through a strict government approval process, Saudi Arabia and Jordan, among others, have turned to China to build their drone fleets. Morocco, Sudan and Yemen have imported missiles and missile launchers from China, according to UNROCA. Chinese arms reportedly have been used during conflicts in Congo and Sudan. In July 2014, Norinco delivered 100 guided missile systems to South Sudan. The Red Arrow 9 anti-tank missile system and GP6 155mm laser-homing artillery weapon systems are Norinco's major exports. The Red Arrow is an advanced, third-generation anti-tank missile system deployed by the People's Liberation Army. It has a maximum range of 5.5km with an armour penetration of 1,200mm. The GP6 laser-homing artillery weapon system is designed to engage tanks and be used in infantry fighting. It is capable of destroying targets within a range of six to 25 kilometres. 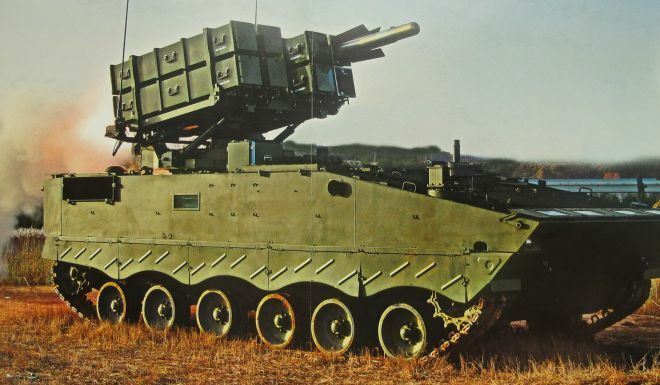 Congo, Ghana, Sudan, Cameroon, Tanzania, Niger and Rwanda have imported calibre artillery systems from China.